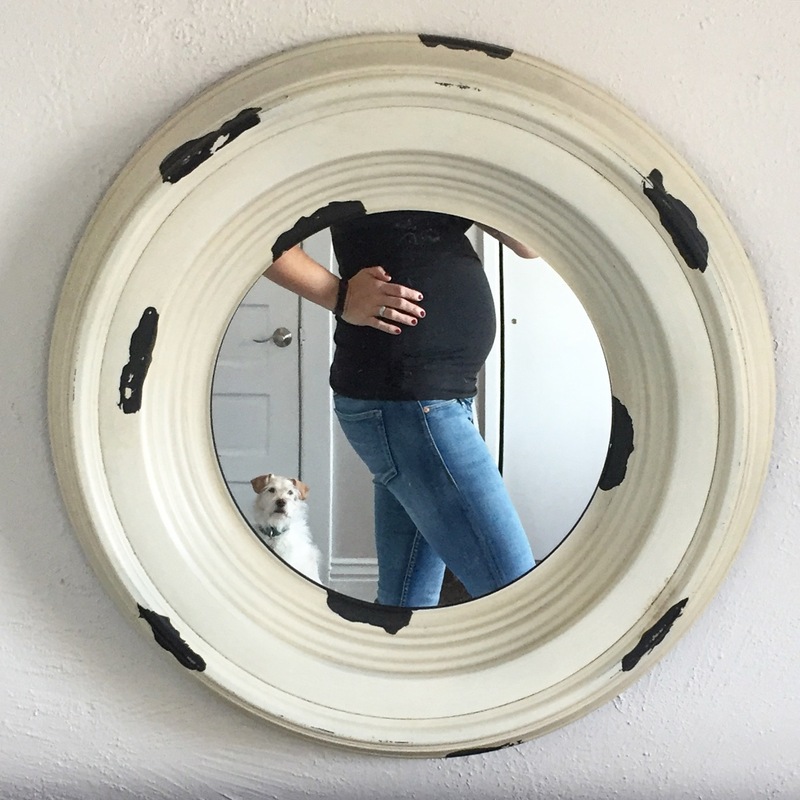 With my pregnancy with Poppy, I posted semi-regular pregnancy updates - and I often liked to look back on them to remember how I was feeling, how my body was changing, etc. Now that this third pregnancy is officially half over... I wanted to start some updates! Week 20. Baby is the size of a small cantaloupe? This one's a little weird... the last few weeks the baby has gone from the size of an avocado, to a mango, and then to a tomato. I thought tomatoes smaller than mangos? Anyways, baby weighs in at nearly a pound, and I sure can feel him/her! I've felt flutters since 15/16 weeks, and by 18 weeks Tyler could feel kicks from the outside. Feeling. Pretty good, except for some lingering nausea. My nausea was mostly gone from about 10 weeks through 18, but lately it's been back again. I've also had some pretty lengthy headaches, which tend to make the nausea worse. Weight. I'm up 9/10 pounds so far. Mostly just in my belly (I hope!) and I have aspirations of wearing a bikini this summer. Normally I shy away from two-pieces... but I'm thinking a big 8-month belly may look better in a two-piece than a constricting one-piece. We shall see... I hate being my own worst critic, and I really think that women should embrace their natural bodies. It's just hard to do, when you think your body does not measure up to society's version of perfect. Medical. I have a midwife! My first two pregnancies were under the care of an obstetrician, which is the norm here in Manitoba. I plan to write a whole post explaining my experiences with a midwife vs. an ob/gyn, but for now I'll just say that it's great. I have a 20-week anatomy scheduled for friday, and I'm looking forward to seeing the little babe squirming around. Preparing. We have not done much to prepare for this new babe. Poppy was dying to buy some new baby clothes, so she picked out a couple onesies at H & M the other day. A major room swap needs to happen, which I think will involve bunk beds for the older two. While I know that the new baby will not sleep in a crib for at least a few months, I'd still like to have the nursery set-up and ready to go. We have a crib... but need a new change table, some dressers, new bedding, diapers, clothes, etc. We are all looking forward to meeting the newest family member. Soren and Poppy especially. Pregnancy is such a special time... I'm trying to embrace it all.